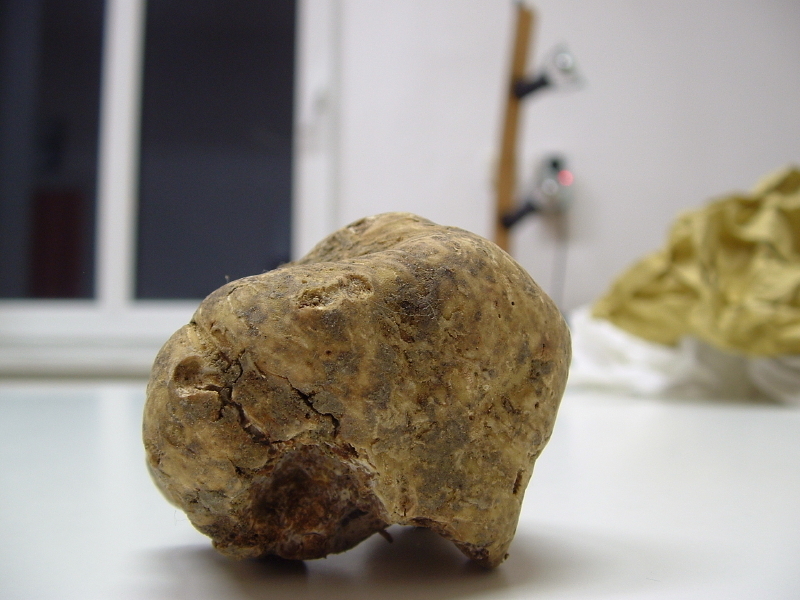 Truffle lovers worldwide put in bids for a 750-gram white truffle from Alba in Italy. Bids came in from New York and Berlin but it was a $210,000 bid from Hong Kong that won the auction. The Italian truffle market has been more expensive lately after having a dry summer. Sunday’s truffle auction raised a total of $535,000. Back in November of 2006 another white truffle was purchased by a Hong Kong resident for $160,000. I guess they really love truffles in Asia. I read that once a group of wealthy people, including several Hollywood stars, pooled their money to buy a truffle for $250,000. Unfortunately, the truffle went bad before they could decide exactly how to eat it! that a lot of money for a truffle. dam i have lot of truffle in my backyard i wonder how it will go for? Three Cheers for Hong Kong for setting a record in this unusual category. I thought this was one ugly piece of white chocolate truffle fetching 210k. But then i wiki-ed truffle and found out its a fungi. Allows escape the particular prefer gran of Revere. Political election early on and vote frequently!